Algerian President Abdelaziz Bouteflika has replaced three senior army officers with responsibilities for domestic security matters and for his own security, the media reported Saturday. The three, all major generals, headed the North African nation's counter-espionage unit, presidential security and the Republican Guard. There has not yet been any official announcement of the changes, and it was not clear if they were due to retirement or to sanctions against the officers involved. The changes were reported by daily newspapers El-Watan and Liberte and by Ennahar television. Only El-Watan referred to the reasons, saying they were a result of "errors" and "negligence". It spoke of an "accident" last week in which two security guards sparked panic at the Zeralda presidential residence west of Algiers by firing shots. 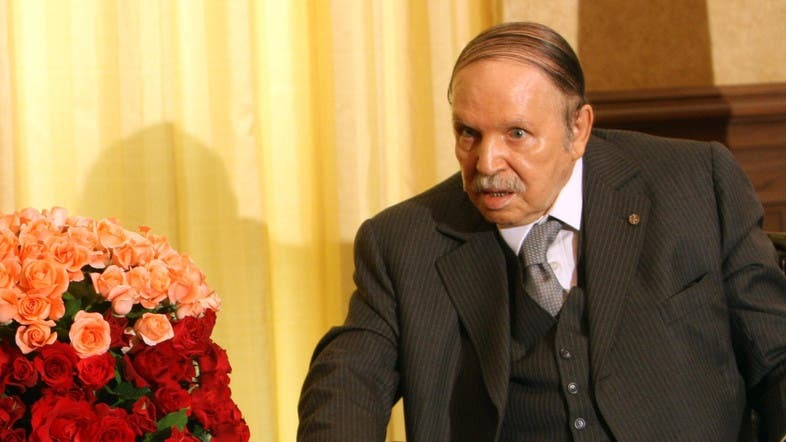 Bouteflika, who was re-elected to a fourth term in April 2014, had already made major changes in the intelligence and security departments the previous autumn. The director for internal security (the DSI, or counter-espionage service), Ali Bendaoud, was replaced by an unnamed officer, the media reported. He had been appointed by Bouteflika in the 2013 shuffle. Ahmed Moulay Meliani was replaced as head of the Republican Guard by General Ben Ali Ben Ali, previously head of the Fifth Military Region. The third change came with Djamel Kehal Medjdoub being replaced by General Nacer Habchi as head of presidential security which, along with the Republican Guard, is responsible for Bouteflika's safety. Bouteflika is commander-in-chief of the armed forces and defence minister. Since he suffered a stroke in 2013, he can only move in a wheelchair and has difficulty speaking. The opposition has been pressing for him to resign, saying he is unable to manage the affairs of state. Algeria still bears the scars of a brutal civil war in the 1990s between the state and Islamist insurgents, and the army is at the forefront of a campaign against jihadists today. Just last week, Al-Qaeda in the Islamic Maghreb claimed to have killed 14 soldiers. Prime Minister Abdelmalek Sellal, who said that nine died, vowed a relentless hunt for the killers.